C.N. Cromwell Asphalt Paving & Sealcoating, Inc. Comment: I have a partial concrete sideway that I need extended to the new front porch location. Comment: I would like to get an estimate to have someone come out and repair a piece of my driveway that broke off. Pats Paving & Trucking, Inc.
Maryland Construction & Equipment Services Inc.
Edgewater Paving Contractors are rated 4.74 out of 5 based on 589 reviews of 24 pros. 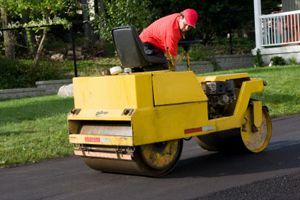 Not Looking for Paving Contractors in Edgewater, MD?